Whether you must be at the airport for a very early morning departure or you are arriving on the last flight of the day, we will be there to pick you up and make sure you get to your destination safely and on time. We monitor all arriving and departing flights at the Appleton airport and will make sure your reserved vehicle is there waiting for you. 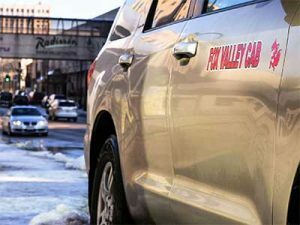 Similarly, if you are flying from or to another airport such as Green Bay, Madison, Milwaukee, or even Chicago, we can arrange your transportation to and from Fox Valley. We never take time off….we operate 24 hours a day, 7 days a week, 365 days a year. If you need to be somewhere, our versatile fleet of vehicles allows us to provide you with the type of service you desire in the vehicle you need. Our 12 passenger vans are great for taking your group to Lambeau Field or to area convention centers for group or corporate events. Safety is our primary concern, so if you are traveling with children that require a child car seat or a booster seat, let us know when you book, and we will provide one free of charge! We will do our best to accommodate any special request. Fox Valley Cab is proud to offer On-Demand NEMT transportation. We have a fleet of ADA compliant wheelchair accessible vehicles and can provide such transportation services on short notice, though we recommend making an advance reservation. This service is available 24/7/365, including all holidays. Due to vehicle and wheelchair sizes, there are a few limitations to these accommodations. Please call us for details. 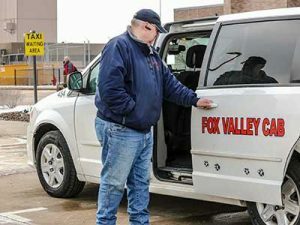 In addition to all our transportation services, Fox Valley Cab offers prompt 24-hour delivery service that guarantees the fastest direct transport of your package. We provide an immediate response and local delivery throughout Wisconsin, Minnesota, or Chicago areas. 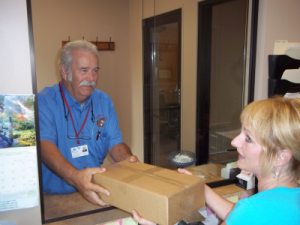 Our drivers are trained, certified, and TSA approved to tender or retrieve packages at ATW and GRB airports. Our diverse fleet of vans can accommodate various sized shipments and our AWD vehicles will get your package to the destination, even in challenging weather. 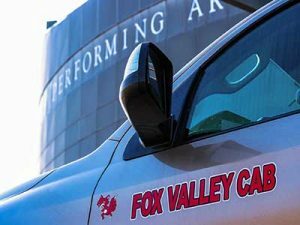 Fox Valley Cab now offers Black Car Service for when you want to pamper someone or impress a potential client or high value visitor. We have high-end, late model luxury sedans, SUVs, and even an impressive 12- passenger Mercedes Sprinter. We will provide the most professional treatment possible! Whether you need airport transportation, a shuttle for your wedding party, or a local trip to a restaurant or theater, we will make your trip an unforgettably rewarding experience.